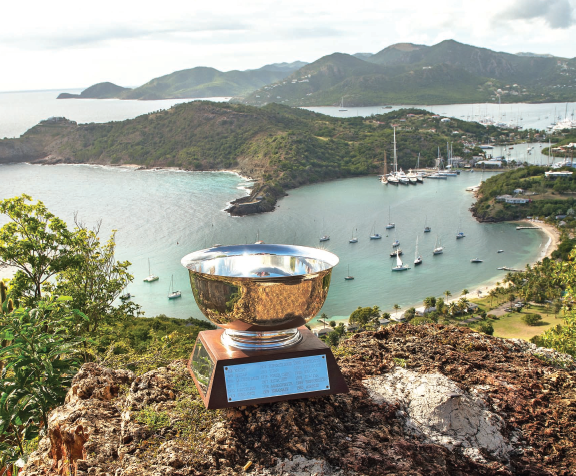 Winning class at Antigua Sailing Week is worthy of proper celebration, but the biggest prize is the Lord Nelson Trophy which has been awarded 51 times since 1968. The regatta attracts teams from all over the world and this year teams from as far away as Siberia, Peru, Hong Kong, and South Australia will be competing in Antigua. 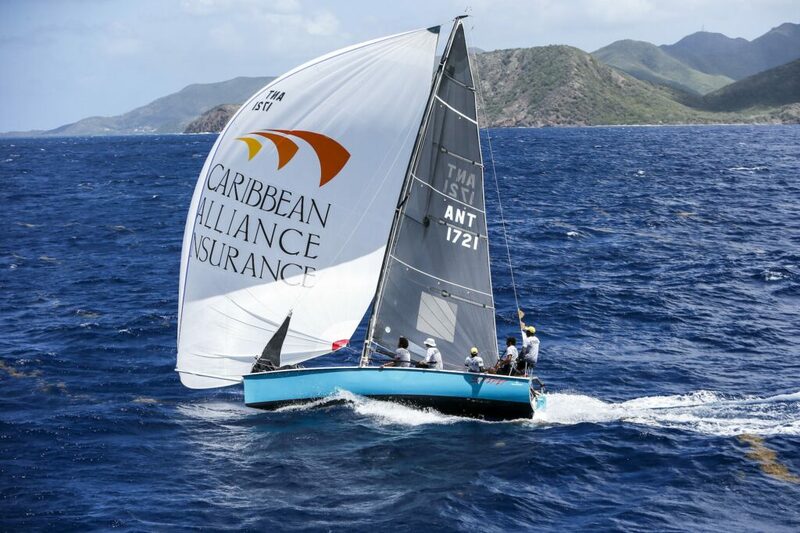 Caribbean registered boats have won the overall prize more times than any other region by a landslide, lifting the Lord Nelson Trophy on 22 occasions from 1968 to 2018. In 2019, the class winners from CSA Spinnaker Classes racing off Committee Boat A, along with the Multihull and Double-Handed Classes, who, for the first time will be eligible for winning the Trophy. To determine the winning boat, a class weighting factor will be applied to their overall score which recognises the difficulty of achieving first place in a larger fleet. The most successful Caribbean nation has been Puerto Rico winning the coveted silver bowl nine times. Cesar Berrios racing Enzian won the first regatta and retained the Trophy (1968-69). Tom Hill racing Titan has lifted the Trophy more times than anyone in the history of the regatta (1975, 1987, 1990, 2005). Sergio Sagramoso was the last Puerto Rican to triumph, racing Lazy Dog to overall victory (2017). 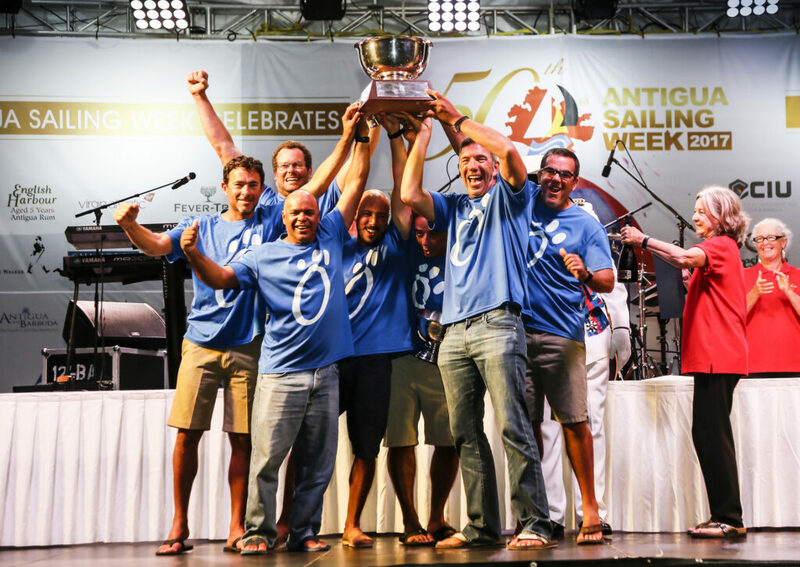 Teams from Antigua have won the Lord Nelson Trophy on five occasions. Jol Byerley won twice with Matchless and Sundance (1972-73), and Scott Ledbetter with Any Taxi (1995). In recent years, Jonty and Vicky Layfield racing Sleeper (2015), and Sir Hugh Bailey racing Gypsy/Ugo (2016), have both won for the host nation. Both the Layfields and Sir Hugh will be racing for glory again this year. For the 52nd edition, 12 teams racing under the flag of Antigua & Barbuda will be vying for the ultimate prize, including Jules Mitchell’s young crew, all products of Antigua’s National Sailing Academy. Last year the team racing NSA Spirit won class and they are back, hungry to win again in 2019! Over 40 young Antiguans in total will be racing this year on a variety of boats as part of the Youth to Keel Boat (Y2K) Programme. Teams from the US Virgin Islands have won the Lord Nelson Trophy five times. Bob Thompson racing I’ll Do (1971). John Foster racing Antidote won and retained the Trophy (1980-81). America’s Cup winner Peter Holmberg has also done the double with Airbus and Blazin (1985-86). Howard Palmer’s Immigrant (1993) is the only Bajan boat to lift the Lord Nelson Trophy. Bajan TP52 Conviction will be racing again this year, chartered to Canadian Richard Reid, racing as Zingara/Conviction. The sole British Virgin Islands victory was scored by Robin Tattersall’s Expression (1984). Paul Dieleman’s Enerserve (1994) won for St.Maarten, and this year, Ben Jelic racing Jaguar, flying the colours of St. Maarten, has high hopes of emulating Dieleman’s win 26 years ago. 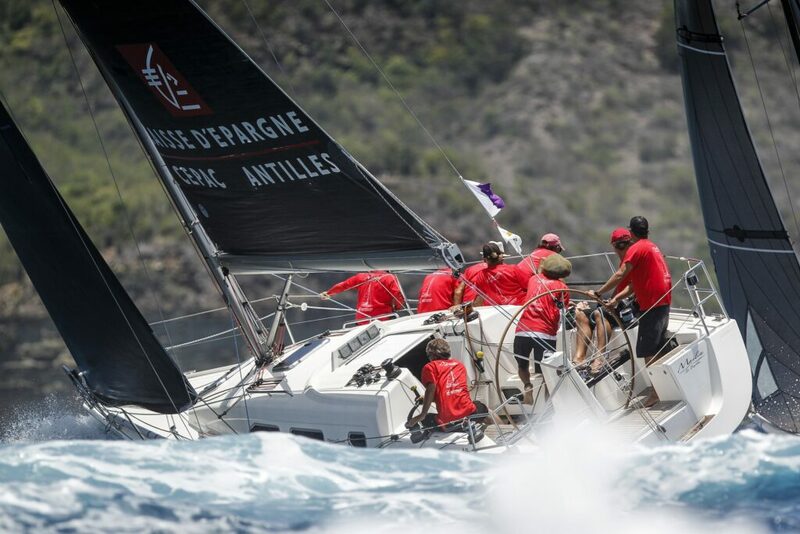 For the 2019 edition of Antigua Sailing Week other Caribbean teams racing include; Raphael and Raymond Magras’ Maëlia CEPAC Antilles and Speedy Nemo respectively, representing St. Barts. Jean Michel Figueres racing Perseverare Diabolicum from Martinique and James Gardner and Jerry Bethell’s Indy-Loosha Sails from St.Lucia. Don’t miss out on the Caribbean’s longest running and most historic regatta, racing in one of the world’s finest sailing locations with fabulous shoreside parties. Entry for Antigua Sailing Week is still open, but please enter online by no later than Friday, April 19, 2019. Entries may be accepted after that time but will be charged an entry fee of US $15 per foot.